Often, we do not recognize how progressive life is within St. Albert. We simply take for granted the basic services our city provides to keep our community operating efficiently. Over the years, these services have been embedded within our daily routines so it is easy not to give them a second thought. Our houses are equipped with invaluable tools that create a safe and livable environment. With a turn of a tap, we have seemingly unlimited amounts of potable water. Our thermostats allow us to adjust the temperature of our homes, which is especially beneficial given our winter climate. We flush our toilets and waste is whisked away, never to be seen again. We place our trash in a wheeled cart; and it, too, is taken away. The one element that is somewhat unique to St. Albert is how we handle our organic waste. We separate our compostable waste from solid waste which is destined for the landfill. This allows our community to reduce our environmental impact on the earth. St. Albert composts huge amounts of organic waste. In the second quarter of 2017 alone, the City of St. Albert composted 3,756 metric tonnes of organic waste for an overall waste diversion rate of 70%. In 2016, the solid waste generated in St. Albert equated to 121.8 kg per person against our target of 105 kg solid waste per person. Our community is committed to our “organics recycling” program, a significant contributor to reducing solid wastes. For this reason, I believe that we will meet our solid waste target in the very near future. St. Albert is joining other like-minded communities in seeking ways in which to become ecologically accountable. The costs associated with the recycling of organics give us an advantageous position. In making solid waste management a priority and engaging in practices, like organics recycling, we reduce our dependence on landfills and model one of the very values that we, as a community, hold dear. Preserving the natural beauty of St. Albert by being environmentally responsible. We model this value for our region, the province and the country. But even more importantly, we model this value for our children. And in so doing we say that they are important to us, and we care about the world we will turn over to them. St. Albert is a beautiful city because, as a community, we have chosen to make it so. 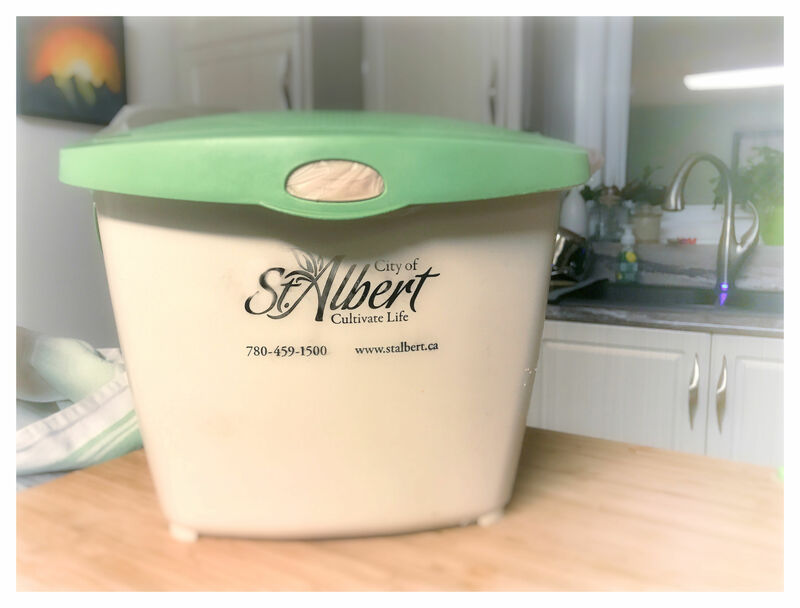 Organics recycling – yet another reason why I’m grateful to live in St. Albert!